Welcome home to your very own slice of heaven. 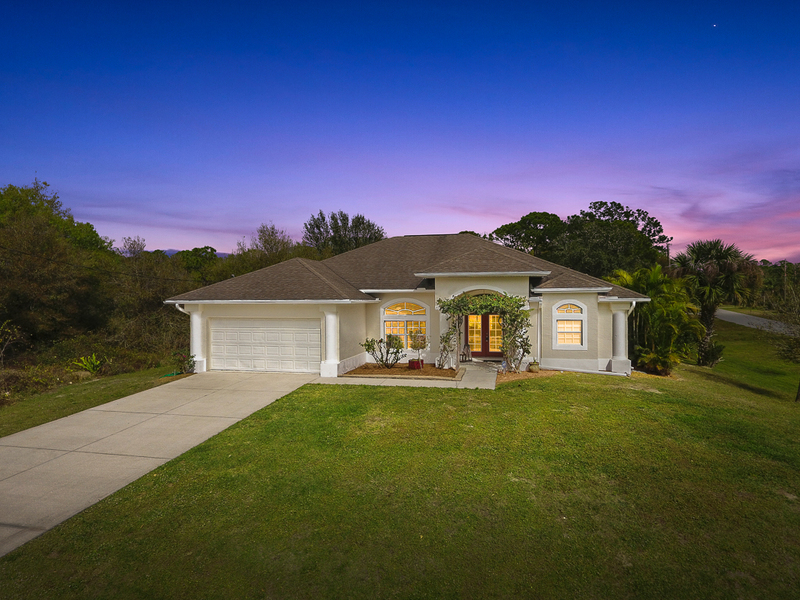 This beautiful North Port Estates home is located on an over-sized corner lot in the middle of peace, preservation, and tranquility. Only 2 blocks from agriculturally zoned property, horses, and farms, this home has plenty of undeveloped land adjacent to expand your new estate with an extra greenbelt easement for additional privacy and space. This 3 bedroom, 2 bathroom rural retreat features an open floor-plan concept, split bedrooms, and huge vaulted cathedral ceilings for expansive living and a welcoming invitation for friends and guests through attractive french doors upon entrance. The home boasts excellent natural light exposure through the formal dining room/living room combination and through the rear sliders with picturesque views overlooking a wooded landscape behind a totally renovated brick paver patio for lounging, relaxation, and entertaining. The property has plenty of room for a new custom pool to your specifications, even add a jaquzzi in the interim. The kitchen features solid wood cabinetry, corian counter-tops, a bar and an eat-in kitchen space/breakfast nook. The master bedroom features a stylish tray ceiling, walk-in closets, and a private slider to the patio. The over-sized master bathroom suite has dual sinks, stone counters and a garden tub w/ a separate shower. The home has been freshly painted, landscaped, neatly finished and ready to move. 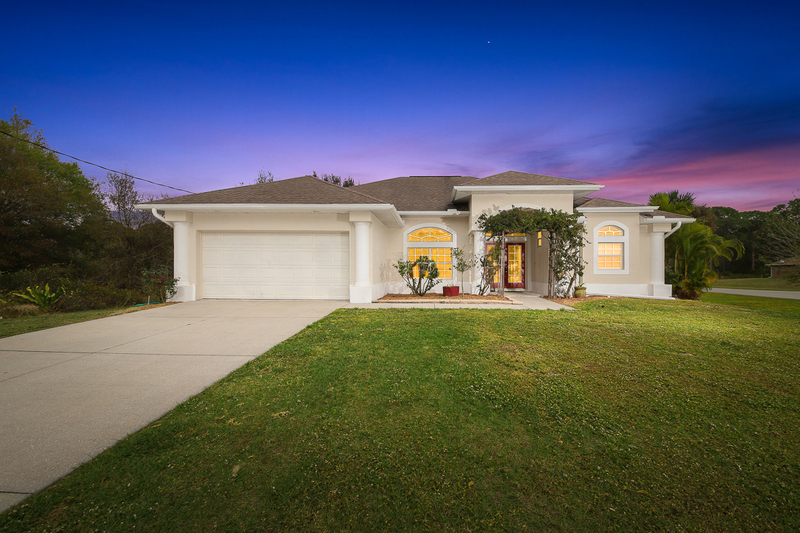 Please call to schedule a private showing today, this home is priced to sell!